We are a leading, management-owned research boutique with a focus on companies from Emerging Europe. Our role is that of an intermediary between companies on the one hand and investors on the other. Our research products are directly distributed to more than 200 mutual and pension funds, family offices and independent asset managers from Central and Eastern Europe, the German-speaking region, Scandinavia, France and UK. In addition, we publish our reports on platforms such as Thomson Reuters, Capital IQ, Factset, Researchpool.com, rsrchxchange.com, ERI-C.com, Visiblealpha.com, ISBNews and PAP, thus ensuring that they are available to institutions from around the world. By organising roadshows and conferences, we provide investors with direct access to corporate decision makers. Our team consists of professionals with long capital market experience in both Western Europe and the CEE region. Adrian Kowollik is Managing Partner at East Value Research and the analyst covering the sectors Technology/Media/Telecom, IT, E-Commerce and Health Care. 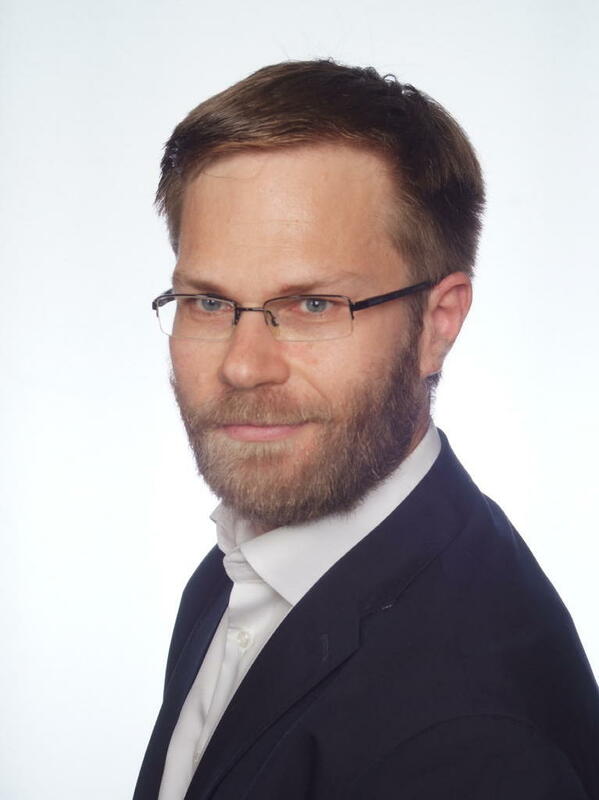 He graduated in Business Administration from Humboldt University in Berlin and has more than 8 years of experience in equity research and corporate finance. Adrian, who grew up in both Poland and Germany, is a strong believer in the concept of broker-independent equity research and the advantages, which it provides to both companies and investors. 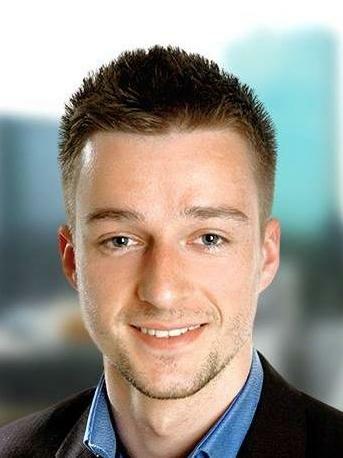 Tomasz Mazurczak is Co-founder of East Value Research. In the past, Mr Mazurczak has been Managing Director and Head of Research & Sales at Commerzbank‘s subsidiary BRE Securities (today mBank Research) in Warsaw, Head of Research at Trigon DM and Head of Equities at the investment management firm Skarbiec TFI. Michal Wieloch is Analyst. His tasks include the preparation of sector studies, company analyses and valuations. He is currently PhD student at the Higher School of Economics (SGH) in Warsaw. In the past, he has worked among others at KPMG in their Valuation team. 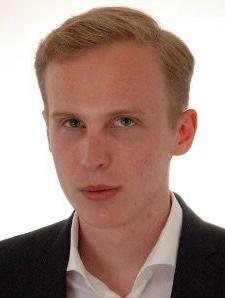 Mikolaj Wisniewski is Analyst. He has a Master‘s degree in International Relations and Finance. His tasks include the preparation of sector reports, company analyses and valuations. Previously, he worked as Corporate Accountant at CBRE Corporate Outsourcing in Warsaw. We provide broker-independent research on companies that are headquartered in Emerging Europe. Our main focus is on small-, micro- and nanocaps, an area, which is usually below the radar of typical brokerage houses. Scientfic studies have shown that broker-independent research can be very helpful for companies when it comes to increasing their market visibility and liquidity. In addition to analysis of single companies, which can be either sponsored or fully independent, we also offer sector reports, whereby we leverage our sector expertise and knowledge of markets in Western and Eastern Europe. For the companies, which we cover, we organise international roadshows. Thus, we provide them with access to new investor groups and help to diversify the shareholder structure. Through our broker partners, we can also act as an intermediary in capital market transactions. Our offering is complemented by corporate finance services, which we are able to offer our clients through our partnership with the Berlin-based firm Excap Partners. Excap Partners provides M&A, restructuring and financing advisory services for smaller companies from Western and Eastern Europe. In the last years, it has completed transactions worth EUR 1bn. many of which were crossborder deals. Commercial Register: Registration at Amtsgericht (District Court) Berlin-Charlottenburg under the registration number HRB 164473 B. East Value Research GmbH is monitored by the BaFin (German Federal Financial Supervisory Authority) with regard to its compliance with the requirements of §§ 34b, 34c of the Wertpapierhandelsgesetz (Securities Trading Act) and the Finanzanalyseverordnung (regulation governing the analysis of financial instruments) for companies active in the field of financial analysis. All rights reserved. Reproduction, commercial redistribution and entry into commercial databases are only allowed with the written consent of East Value Research GmbH. This website www.eastvalueresearch.com has been prepared with the greatest possible care. However, East Value Research GmbH cannot guarantee that the information contained herein is correct or precise. Any liability for damages, which result directly or indirectly from the use of this website, will not be assumed if it is not intentional or reckless. If there are links to external websites, East Value Research GmbH will not take the responsibility for their content. East Value Research GmbH has taken several measures to prevent conflicts of interest. One of these is that its employees are prohibited to trade in stocks from its coverage. In addition, its employees are not permitted to accept gifts or any other beneficial contributions from individuals, who have an interest in the content of our research publications. With around 20m inhabitants, Romania is the second largest of the ex-communist countries that have joined the European Union since 2004. Though, comparing to other Eastern European states, Romania fell behind in the reform process in the 1990s, nowadays it is one of the fastest developing economies in the EU. Since 2007, the yearly GDP has averaged 2.5% (3rd best growth rate among the Eastern European EU countries), while disposable incomes have increased by 8.8% y-o-y. Based on Berenberg‘s calculations, Romania will remain the fastest-growing European economy over the next two years. According to the latest estimate of the National Statistics Institute (INS), the GDP growth accelerated to 8.8% in Q3 2017, which was the fastest rate in the EU. The Bucharest Stock Exchange was launched in 1995 and has been growing dynamically with 386 companies currently quoted in the main and AeRO segments. BVB is also close to meet the criteria of an Emerging Market in the FTSE Russell ranking. As of the end of October 2017, the market capitalization of the Romanian companies was EUR 19.5bn, while the capitalization of all the companies listed on the BVB’s Main Market (currently 88) accounted for EUR 35.5bn. (EUR 36.7bn together with AeRO segment). In 2016, Romania’s main stock market index, BET, was paying a dividend yield of 7.9%. All of the companies in the BET index have dividend yields of more than 6%, thereof some >10% (i.e. Transgaz -15.5% , Romgaz – 18%, Transelectrica – 16%). The Romanian government is creating a pro-investment environment. Since 2007 (EU accession date), several major global companies (Siemens, Ford, Bosch) have set up or expanded operations in Romania. In 2016, the VAT rate was reduced from 24% to 20% and to 19% in 2017, which was a very strong stimulus for consumption. However, it caused the rise of government deficit from 0.8% in 2015 up to 3% in 2016. From a capital gains perspective, Romania also has a relatively small dividend tax – 5% (i.e. in Poland – 19%). Due to the communist legacy of excellence in science, Romanians are founders of successful tech companies – they can boast about domestic companies taken over by international giants (RAV Antivirus sold to Microsoft in 2003; Clever Taxi accquired by Daimler in 2016). Though the Venture Capital environment is improving, it’s still in its infancy: overall VC investments equal 0.001% of GDP, compared to the EU’s average of 0.027% (data for 2016). We believe that the Romanian’s under-developed and fragmented funding environment should change due to the new EU budget 2014-20 (EUR 40bn in total for Romania, thereof >3 bn for innovative projects). Overall, from a political and economical perspective, Romania is a safe country to invest. Considering the stable macroeconomic situation (inflation c. 2%, public debt c. 38% GDP, basic interest rate at 1.75% and a relatively stable exchange rate), Romanian economy is an interesting and profitable place to allocate assets. (1) Why does paid research exist? Paid research was created in order to fill the information gap in the area of small- and very small companies (so-called small-, micro- and nanocaps). As their main revenue source are commissions from buying and selling securities, typical brokerage houses concentrate on the analysis of the largest and most liquid companies. Small-, micro- and nanocaps are not very interesting for brokers as they are not able to cover their operating costs with them. 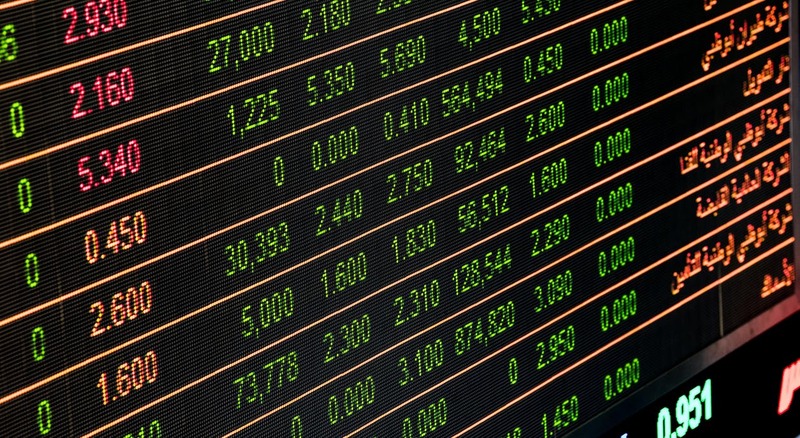 Paid research can help smaller listed companies to increase trading volume, visibility on the capital market and to access new investor groups. (2) Does research “for money” also exist on markets outside CEE and how is it regarded? Sponsored research has been present in Western Europe and North America for many years. First companies started to offer this kind of service in the 1990s. In Germany alone, there are currently c. 13 providers of sponsored research. New research houses are being founded as investment banks are reducing staff in their research departments. Most international investors do not see a difference between typical “sell side” reports and sponsored research, but conflicts of interest have to be clearly described. Many portfolio managers appreciate the fact that sponsored research presents companies, which are “below the radar” of investment banks. Moreover, even if they have coverage “for free”, listed companies often continue their co-operation with providers of sponsored research due to their knowledge about the specific company/sector and access to investors, which investment banks do not service. (3) Can paid research be objective? Similar to research that is provided by investment banks, sponsored research is subject to conflicts of interest. Thus, it is crucial that both the company, which orders a report, and the analyst understand that it is in their both interest that the report will be well-received by the market. In our daily work, we follow CFA Institute’s rules in order to guarantee that our paid research is objective and the assumptions/estimates are as realistic as possible. For example, before signing research contracts we always conduct a due diligence of companies, which have ordered coverage, and are remunerated before the preparation of the report, which is to ensure that the client does not “buy a BUY rating”. In addition, we only make available to companies the draft of the report without valuation and rating and try to persuade our clients that from the investor’s perspective it is important that the research coverage covers at least 12 months. (4) Why research in English and international distribution is important for CEE-listed companies? Since its foundation, East Value Research has only been preparing research reports in English and distributing them worldwide. In our view, despite the fact that the capital markets in CEE are relatively small, they are still rather closed, although nowadays investors are looking for investment opportunities around the world. Moreover, we strongly believe that international distribution can help smaller CEE-based companies, which increasingly focus on exports, to gain not just new investors but also clients. With around 38m inhabitants, Poland is the largest of the ex-communist countries that since 2004 have joined the European Union. Its economic transformation has been one of the most successful in Central and Eastern Europe (CEE). Since 2004, the yearly GDP growth has averaged 3.9%, while disposable incomes have increased by 4.8% y-o-y on average. The Polish population is very entrepreneurial and well-educated, with >40% of 30-34 year olds having completed higher education. In a recent study by EF Education First, Poles ranked 8th worldwide (out of 60 countries) when it comes to English language skills.